La Liga side Valencia are considering a January move for Javier Hernandez, according to Spanish outlet Super Deporte. The Mexican forward has rekindled the kind of form that has helped him gain a reputation as one of the most lethal poachers in the Premier League, scoring three in his last five appearances for the Hammers. Valencia have struggled in front of goal this season, finding the net just 15 times in 17 – the joint lowest total in the Spanish league. The club sit eighth in the La Liga table, and are understood to be monitoring the 30-year-old’s situation at the London Stadium, but are aware of the need for West Ham to strengthen their own attack before they willingly let Chicharito leave. 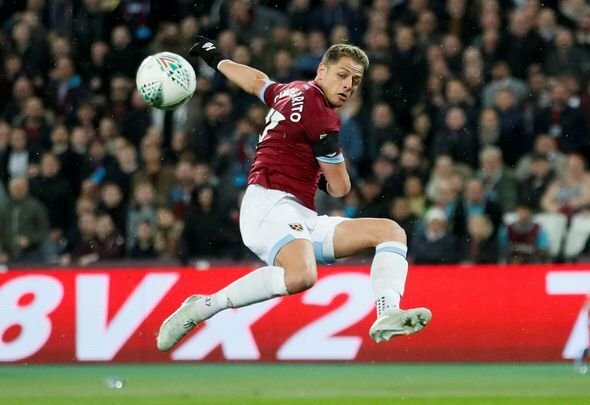 The Hammers might have been more open to the prospect of allowing Hernandez to leave this time a month and a half ago, but in recent weeks the Mexican has been a vital component in their resurgence and subsequent rise up the Premier League table, and Manuel Pellegrini will be reluctant to let him go. The Irons look like a much more dangerous side with the 30-year-old spearheading their frontline, and unless they can find a suitable replacement this January, it would be madness to let Hernandez moves to the Mestalla. Before he found himself in a purple patch, rumours were abound suggesting that Hernandez was miserable at West Ham, and was doing everything in his power to engineer a move away. Since he has rediscovered his shooting boots, however, the 30-year-old seems more settled, and crucially, West Ham are under no obligation to sell him on. If Pellegrini wants him to stay, and at this stage he’d be crazy to let him go, then the Mexican is likely to be around until at least the end of the season, and that can only be a good thing for the Irons.